There are plenty of interesting things to do in Madrid in June. Spring is the perfect moment to come outside and enjoy having tapas in a terrace or a picnic in the Retiro Park. Check our suggestion for what to do in Madrid in spring. This curious fair takes the streets of Madrid from June 5th to the 8th. 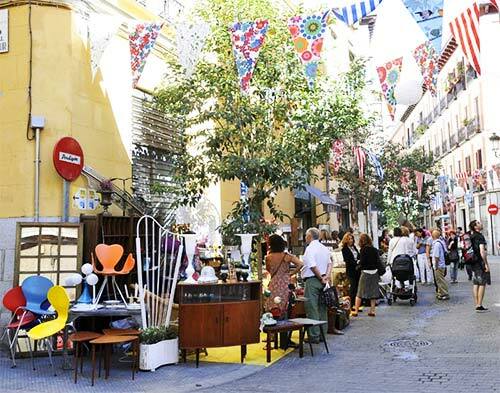 If you are interesting in decoration, furniture and art this your time to enjoy Madrid while visiting one of the biggest streets fairs of the year. The most interesting are will be the Antiques Market with 43 stalls located among Cervantes St, Quevedo St, and San Agustín St. Also check the curiosities stalls in San Pedro Street. The market will be open from 11 a.m. to 10 p.m. on Thursday, Friday and Saturday, and from 11 a.m. to 6 p.m. on Sunday. This year is the 100th anniversary of El Greco death. In honor of this important date the authorities of Madrid and Toledo has organizes several exhibits. On June 25th Museo del Prado will start showing El Greco and the modern art, and exhibit that remarks the influence of the painter in the further art movements. June is always a great time for concerts in Madrid. Rolling Stones will be performing its incredible music on the 25th of June in the Bernabeu Stadium. Also, Miley Cyrus will be in town. Her concert in the Palacio de los Deportes will be on June 17th. The main musical event this month will be the Big Stereo party in the Matadero of Madrid venue. This amazing musical festival will be taking places on June 20th and 21st. Come and enjoy two days of non-stops concerts bringing together the trendiest Spanish musics, like Dover, Alaska, Arizona Baby, Purr or Australian Blonde. Finally, Placido Domingo will be performing in Teatro Real on June 25th performing several pieces of Verdi. Madrid Pop is the name of one exhibitions shown in two different museums; Museo Thyssen-Bornemisza on June 10th to September 14th, and in the Museo Nacional Centro de Arte Reina Sofía on June 27th to October 13th. The peculiar art show allows the visitor to know better the origins of the pop-movement and its history from WWII to now a days. There are some really interesting pices created by well-known artist like Rauschenberg, Lichtenstein, Hockney, Andy Warhol, Mario Schifano or Eduardo Arroyo. Even though the exhibition is show in two different museum there is a combine ticket available. 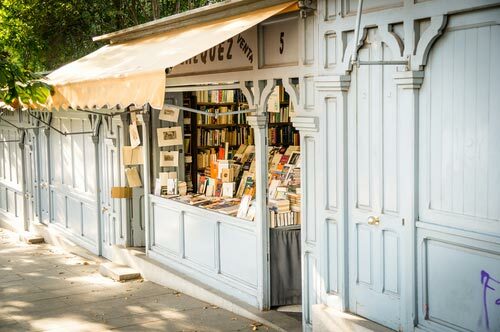 Madrid Book’s fair takes place every year from the middle days of May to the middle days of June in the Retiro Park. It was celebrated for the first time in 1933 and since that moment on became one of the most important event around Spanish literature. There are always authors signing books and big sales on books, too. Even though you can read in Spanish, just visiting and living the experience is worth it.